During the provisional process of divorce, courts will exercise discretion when assets, liabilities, income and other factors are brought forth for equitable distribution. Property is classified as either marital or separate, valuated, then distributed between one or both spouses. While most assets and liabilities are agreed upon or easily divided, business interests are far more complex. With one or more parties involved in some larger family businesses, accurate calculations are important not only for purposes of asset division, but to prevent future legal issues. Prior to determining business value based off assets and liabilities, courts will determine divisibility by considering how the business was formed. If started prior to marriage with funds brought in by one spouse, or if the business was started during the marriage with non-marital funds, the assets are considered separate. However, if the business was started with marital funds by one or both parties, the assets are considered marital. There are situations where businesses started prior to marriage with non-marital funds could be considered marital property, however. Let’s assume Bob opened a successful casual shoe store with $50,000 of his own money. He then married, carrying over that income into his marriage. However, he needed to use $30,000 of marital funds to launch an online advertising campaign, which significantly increased sales and income. The first $50,000 of his business’s valuation would be discounted; the $30,000 borrowed plus any income derived from that ad campaign would be split 50/50 since growth relied upon the use of joint funds prior to divorce. Undervaluation can cause future suits or claims of fraud against the business owner, so it’s important to take this phase seriously. Income approach. Most calculations are based off the income approach. By plugging future profits and cash flow into a predictive formula, an expert can determine what the current value is based off future market position and expected sales volume. The formula used takes into consideration risks and losses. Asset approach. This simple method of computation takes assets, subtracts liabilities, with the number being the value. Both intangible and tangible goods are taken into consideration. Inventory, which will vary based off fair market value, will be determine at its current net worth during the divorce proceedings. Usually the same holds true with vehicles and real estate. Market approach. By comparing the divorcee’s business with similar businesses, a market estimate can be used to determine valuation. Think of how realtors estimate home values based off “comps”, or the current value of neighboring homes. An outside expert should be retained (and normally is) to work alongside your divorce attorney if assets are expected to amass larger than expected figures, especially if one or more parties have a minority or controlling interest by virtue of investments. Why should calculations happen during divorce? Even if the non-owner spouse agrees to amicably resolve personal and business property without extensive calculations, it’ll behoove the business owner to hire both an outside CPA or similar expert to work on valuation, and an attorney who can attempt to resolve the expert’s final assessments. Undervaluation could come back on the business owner later if the non-owner finds out assets were being hidden to avoid paying fairly. Also, having multiple parties involved in business could lower the majority owner’s valuation, which ultimately lowers their responsibility. High-asset divorce cases rely on accurate valuation of marital assets to protect the interests of both parties. 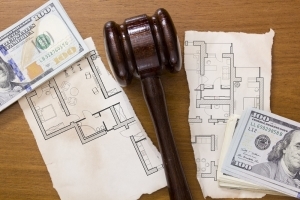 Shielding assets during the judge’s equitable contribution of marital property may not only lead to civil liability, but could have criminal implications. 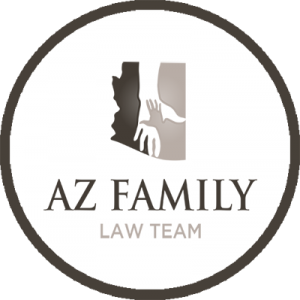 Click here for information on a grey divorce in Arizona.